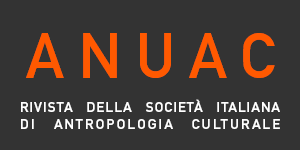 Anuac publishes four main typologies of contributions: articles, essays, research reports and themed sections all of which are subjected to double-blind peer review, and should be accompanied by an abstract in English and Italian (200 words), five keywords, and a bio-bibliographical note of the author in English (100 words). Articles should not exceed 8,000 words including references. Essays and research reports might have a less conventional academic style and format, and should not exceed 5,000 words including references. Themed sections are typically composed of 3/4 contributions of ca. 8,000 words plus a Guest Editor(s) Introduction. In addition, Anuac regularly publishes review articles (a review of two or more books up to 3,000 words), book reviews, film reviews, museum and exhibitions reports, all of which should not exceed 1,200 words. As part of the Book review section, Anuac accepts Book Forum proposals, consisting in at least three critical interventions by different authors on a recently published book, followed by the reply of the author of the book under discussion. The average length of the pieces must be 1,500/1,800 words. Book forum proposals, as well as book reviews and reports, must be sent to: bookreview.anuac@gmail.com. Books for review can be sent to the journal’s postal address: Redazione Anuac – Università degli studi di Cagliari – Via Is Mirrionis, 1 – 09123 Cagliari (Italy). Use double quotation marks round quotes less than three lines long [e.g. “text”], and run these in the text. Quotes of more than three lines must be placed in a separate paragraph, without quotation marks (font size 10-point). Quotes within quotes must be distinguished by single quotation marks [e.g. ‘text’]. Clastres, Pierre, 1974, La société contre l’état. Recherches d’anthropologie politique, Paris, Minuit. Stocking, George W. Jr., ed, 1983, Observers observed. Essays on ethnographic fieldwork, Madison, University of Wisconsin Press. Fernandez, James W., Mary Taylor Huber, eds, 2001, Irony in action. Anthropology, practice and the moral imagination, Chicago & London, University of Chicago Press. Verdery, Katherine, 1999, Fuzzy property. Rights, power, and identity in Transylvania’s decollectivization, in Uncertain transitions. Ethnographies of change in the post-socialist world, Michael Burawoy, Katherine Verdery, eds, Lanham, Rowman & Littlefield: 53-81. Wolf, Eric, 2000 , Il potere: vecchie conclusioni, nuove domande, in L’antropologia culturale oggi, Robert Borofski, a cura di, Roma, Meltemi: 268-278. Gluckman, Max, 1963, Gossip and scandal, Current Anthropology, 4, 3: 307-315. Strathern, Marilyn, 2018, Infrastructures in and of ethnography, in The Malinowskian legacy in ethnography, Elisabeth Tauber, Dorothy Zinn, eds, Thematic section, Anuac, 7, 2: 49-69. The paper under submission has not been previously published or submitted to other journals (or an explanation has been provided in Comments to the Editor). Papers must be submitted in OpenOffice, Microsoft Word, RTF, or WordPerfect document file format. Texts must be single-spaced; uses a 12-point font size; employs italics, rather than underlining (except with URL addresses); and all illustrations, figures, and tables are placed within the text at the appropriate points, rather than at the end. If submitting to a peer-reviewed section of the journal, make sure to follow the instructions in Ensuring a Blind Review. Anuac is published under a Creative Commons Attribution Licence 4.0. With the licence CC-BY, authors retain the copyright, allowing anyone to download, reuse, re-print, modify, distribute and/or copy their contribution. The work must be properly attributed to its author. It should be also mentioned that the work has been first published by the journal Anuac. Having published these contributions for the first time, Anuac will have the right to publish them integrally or partially as reprints or possibly as part of a thematic issue, in both digital and printed format. It is not necessary to ask further permissions both to author or the journal. Photographs and other images marked with the symbol Copyright © cannot be distributed. The readers of the journal or the users of the website can download photographs and other images that are not marked with the above mentioned symbol.